This example shows how to set up a continuous audio acquisition. This example uses a two-channel microphone. In this example you generate data using the sound card on your computer using a 5.1 channel speaker setup. Before you begin, verify that your environment is set up so that you can generate data with your sound card. For more information refer to "Troubleshooting in Data Acquisition Toolbox". This example uses a microphone with device ID 'Audio1'. Create a session with directsound as the vendor and add an audio input channel to it. Prepare session for continuous operation. Will run continuously at 44100 scans/second until stopped. 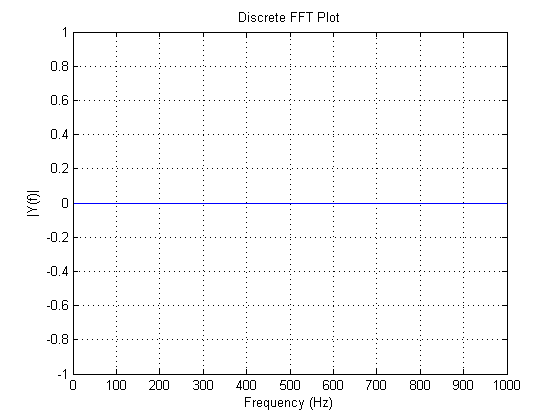 Set up the plot for an FFT of the live input. % Calculate FFT(data) and update plot with it. 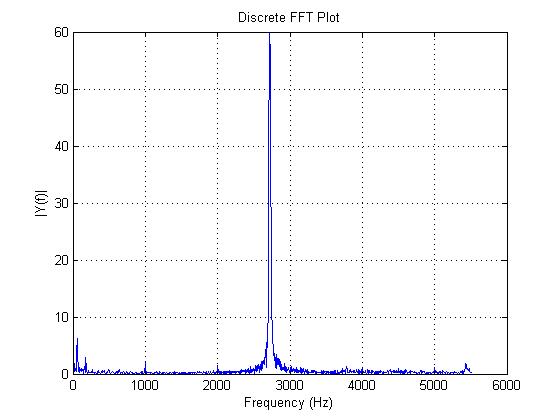 Listener updates the figure with the FFT of the live input signal. Observe that the figure updates as you use the microphone. Wait for 10 seconds while continuing to acquire data via the microphone.